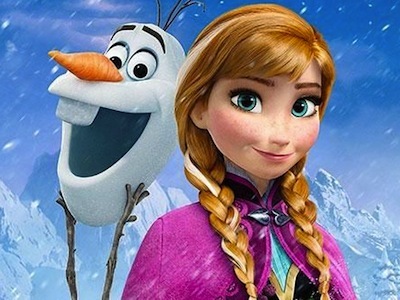 Olaf is the adorable and funny snowman from Disney’s movie – Frozen. When Elsa and Anna were kids then built Olaf. 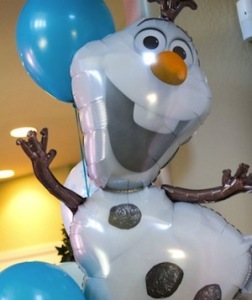 Later, Olaf is sprung from Elsa’ magical powers. He’s a representation of innocent love and joy the sisters had when they were young. His favourite season is summer and love warm hugs and kisses. He has the ability tp disassemble himself and rearrange his body. 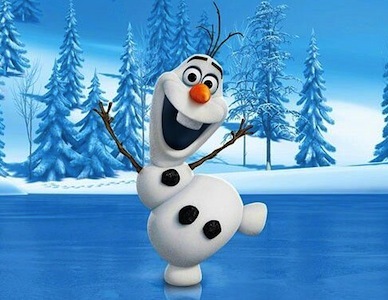 He is the friendliest snowman in Arendelle. A snowman with three black stones, a carrot nose, stick arms, three twigs as hair, and a buck tooth. He can use his carrot nose to unlock any door. 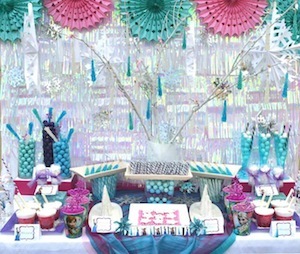 Elsa created a “flurry” cloud to keep him cold and prevent him from melting in the summer heat. Here are some costume ideas for your kids if they want to look like the adorable snowman from Frozen. 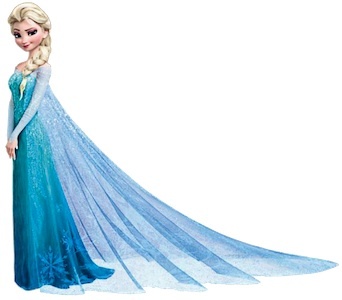 Click here for more Frozen costume ideas. 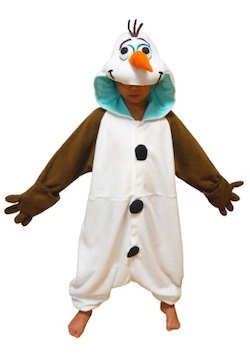 Click here to get Frozen Olaf Kids Pajama costume So if your little sidekick wants to be the talented Olaf, consider our Kids Olaf Pajama Costume. Great for dress up, naps, and or just running around and bursting into song and dance. This costume got all the details right: giant black buttons, brown arms, Olaf’s face on the hood, and a giant carrot for a nose (we like it even more now). Did we mention roomy and fuzzy? Fleecy and warm? It’s like your kid will be wearing a warm hug! They’ll love it so much they might never take it off. But that’s okay. 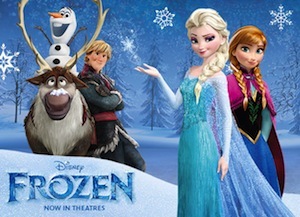 Because some characters are worth melting for.